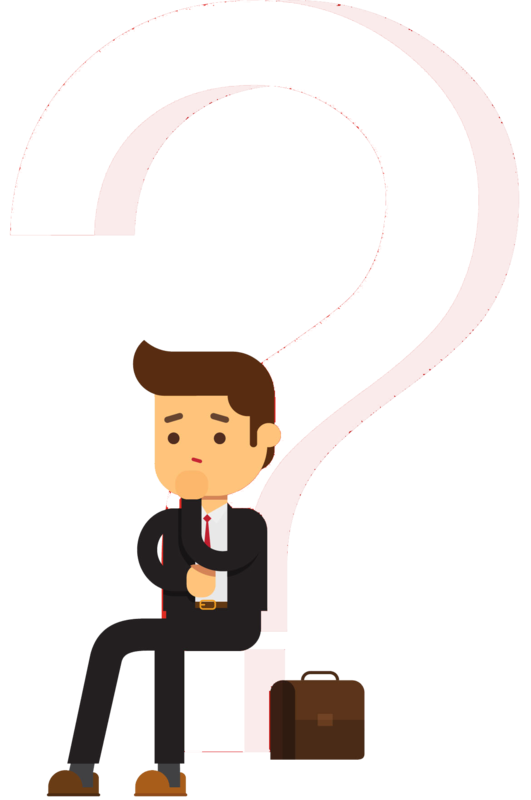 ARE YOU CONFIDENT WITH CLOSING NEW CLIENTS? New Customers Facebook Needs Properly? 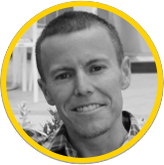 Profitable Funnels From Start To Finish & Become Your New Clients HERO! So let me ask you a SCARY question about Facebook ads that are actually quite common. FB Ads Because You Feel Like Any Of These? You don't feel confident enough to SELL yourself or your services. Without having to be an expert at sales! And by the way YES...I did say COPY AND PASTE! So What Exactly Will You Be Copying And Pasting? My PERSONAL and most profitable funnels that I've used to make well over 7 figures with my own client consulting company. These funnels work in any niche, and work every time so that when you DO land yourself those new clients, there will be no question in your mind on how to get them immediate results and happily handing over their monthly retainer to keep you on board with them. Like I said, I don't like braggarts, so how am I so sure YOU will achieve success with my funnels? Because these people did too...and their situation wasn’t really much different than yours probably is. 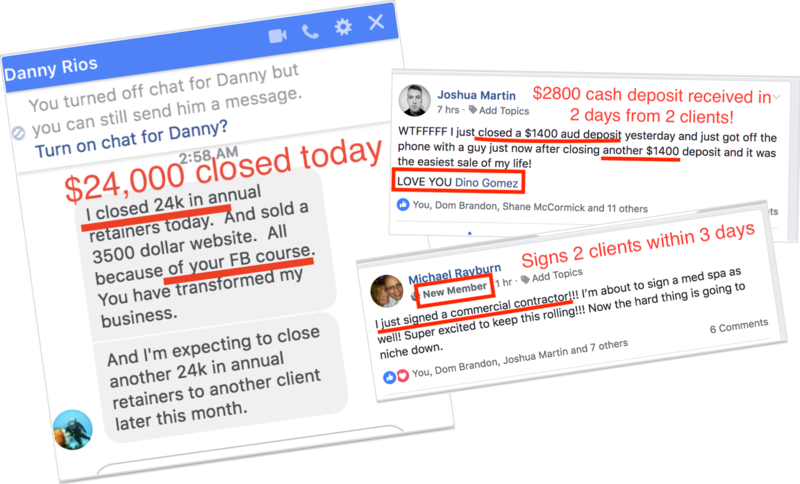 So what do you think those 3 people and all my other students have in common, other than being successful with Facebook Lead Generation campaigns? Well the answer is that they copied and pasted the funnels that I wrote for them! And that's just where the 5 Client Challenge BEGINS....not ends. 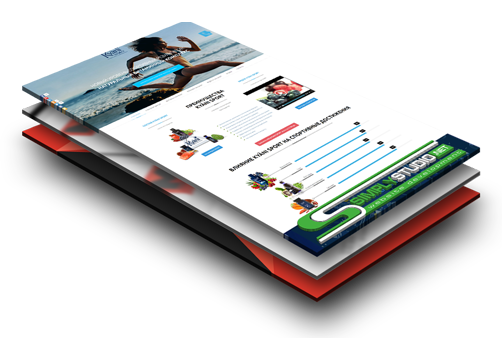 You Are Also Going To Get Access To My 5 Client Challenge Advanced Video Training Library Where I Personally Am Going To Train You On More Advanced Level FB Ad Strategies! 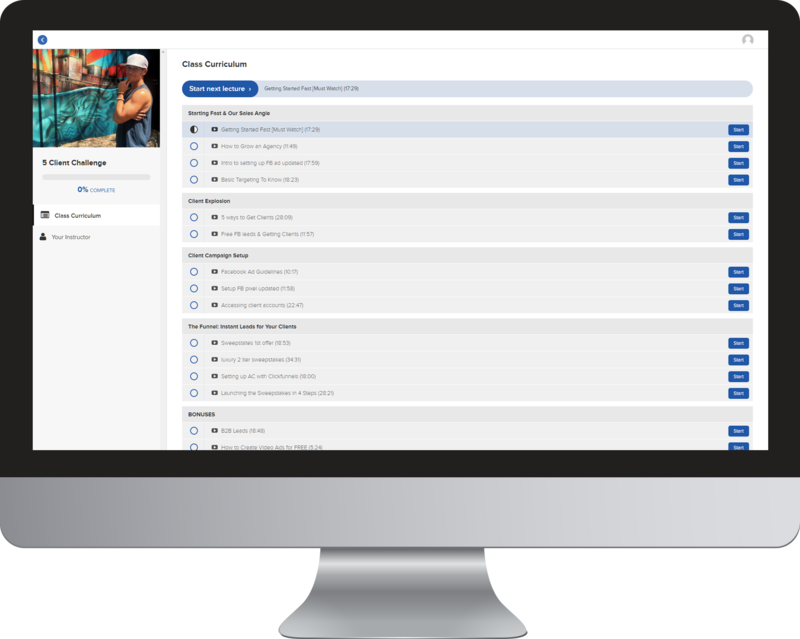 I'm going to train you on exactly how to build targeted audience with the Facebook audience builder so when you run ads, the people you are targeting LISTEN and ENGAGE with your ads. 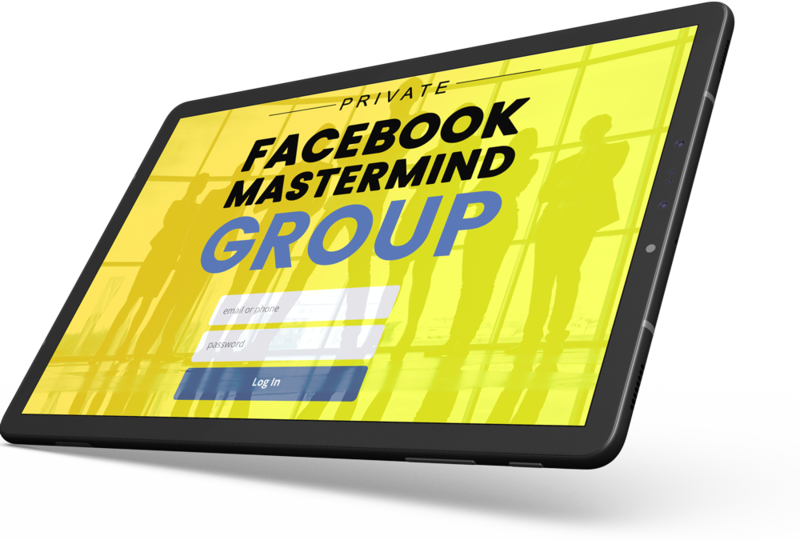 I'm even going to give you 6 new strategies to land MORE facebook ads clients than you've ever dreamed. To make 100% sure you are landing new clients yourself, and then getting them immediate and demanding RESULTS. This is going to give you BREATHING room and take away any initial stress about messing things up when you are new to facebook ads. By ME, to teach you to master the art of Facebook Ads so that you will continue to sharpen your skills as you acquire new clients! Get Anywhere Else? Of Course!!! YES! We Are Giving You Our Custom “Two Tier Sweepstakes” Facebook Ad Funnel As Part of the 5 Client Challenge! 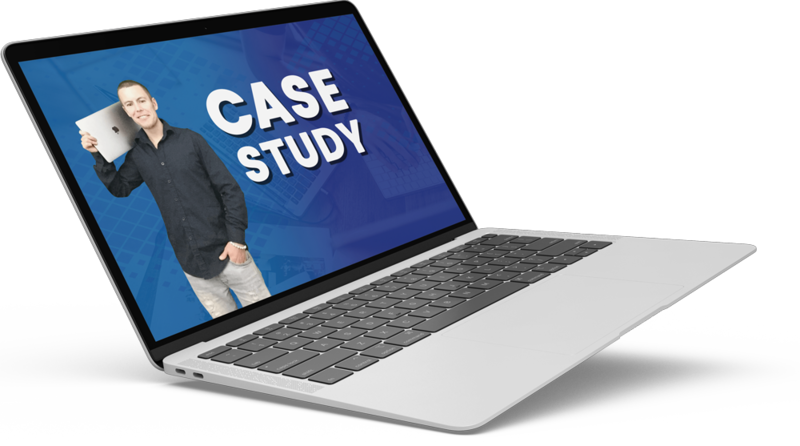 Actual Client Case Study Recordings…. 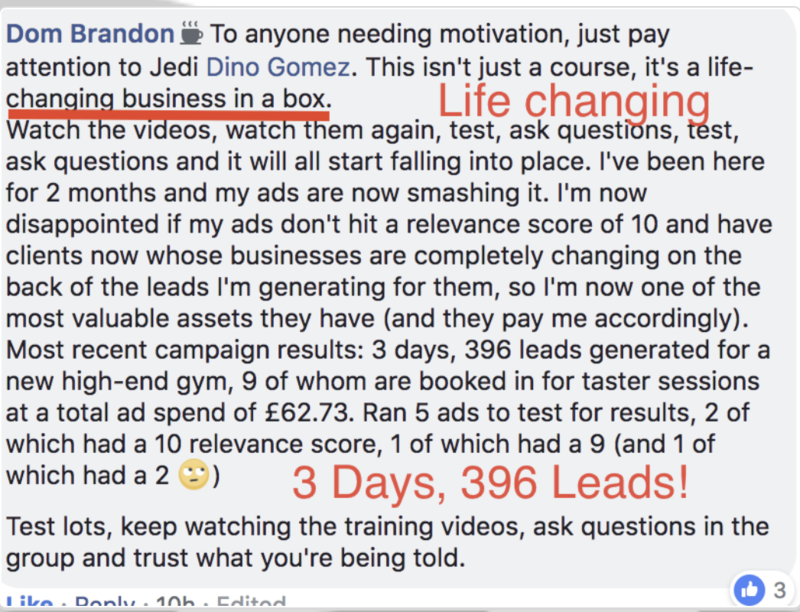 So you can watch how Dino runs Facebook ads for real businesses! Join all the other 5 Client Challengers in a private community, where you’ll be able to share in strategies, tips and tricks to propel your business to new heights! The GoMobile Bootcamp is an Exclusive On-Site 2-Day Marketing Intensive that helps Digital Agencies Scale Their Business By Giving Them The Exact Strategies Used By Some Of The Top Digital Service Agencies In The World. If you pick up the 5 Client Challenge today, and don't at least DOUBLE your investment in the first 30 days, we'll give you a full refund! Now of course, you do have to prove to us that you at least tried right! And I'll will be there to help you along the way along with HUNDREDS of other students who are already doing this successfully just like you are about to be! & All These Bonuses Going To Cost Me? Remember That Landing JUST ONE Client At $500/Month You Will Pay For EVERYTHING You Just Purchased Today INCLUDING This Offer!! profitable new clients in the next week or two is the buy button below! and if I lose my income when my clients fire me. One time payment, NO RECURRING.